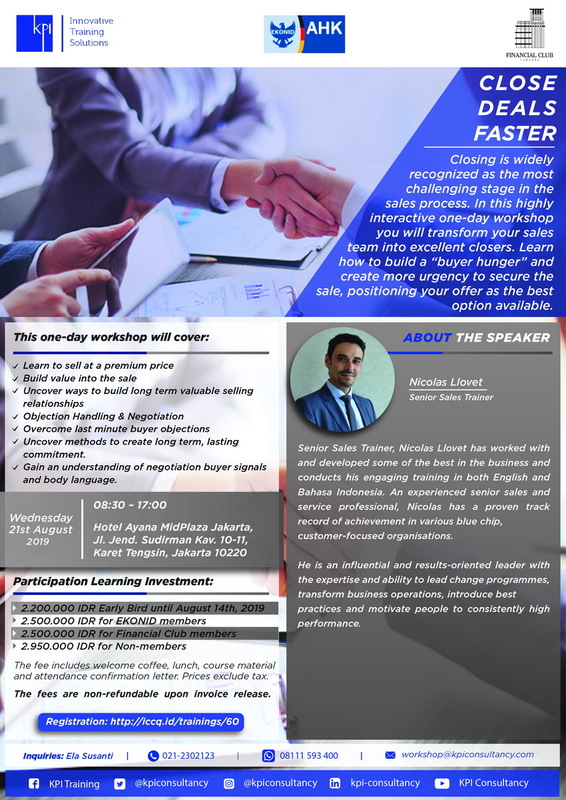 KPI Workshop present ‘Learn to Close Deals Faster: Selling Skills Workshop’. Closing is widely recognized as the most challenging stage in the sales process. In this highly interactive one-day workshop you will transform your sales team into excellent closers. Learn how to build a “buyer hunger” and create more urgency to secure the sale, positioning your offer as the best option available. Through case studies and role-plays, this highly effective workshop gives participants extensive practice closing business deals, changing the mind-set for even the most seasoned sales professional.